In 1780, the Pennsylvania legislature passed a law ending slavery in the state—but not yet. The Act, which represented an early approach by a U.S. state to abolishing slavery, simply banned importation of new slaves into the state. Slaves already in the state remained enslaved for life, and children born to them were afforded the status of indentured servants, forced to serve their mothers’ master until the age of 28. The Act stipulated that residents of the state had to register their existing slaves with the county government annually or risk manumission. Foreshadowing a long tradition to come, members of the U.S. Congress, then meeting in Philadelphia under the Articles of Confederation, were exempted from the Pennsylvania Act. 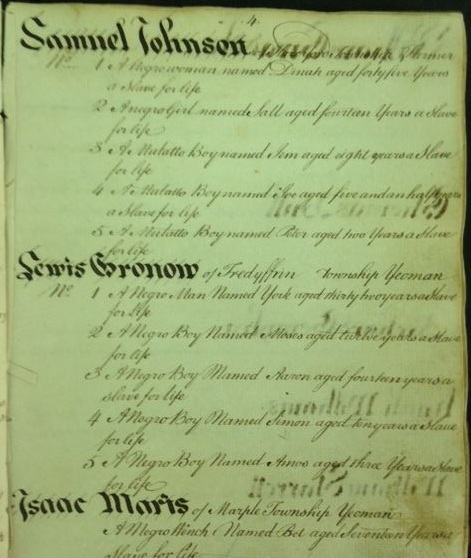 The Yale library holds the registry of slaves in Chester County from 1780 to 1821, indexed by the owners’ names. Pennsylvania became known as an anti-slavery state, a refuge for people escaping from the states to the south. 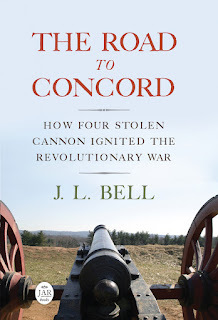 But it maintained the property claims of local slave-owners until 1847.